OMG Posters! 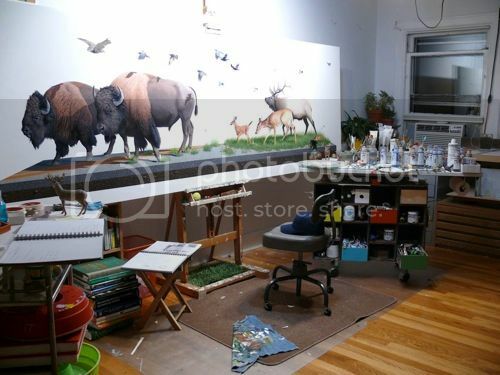 » Archive Interview With Josh Keyes - OMG Posters! Arrested Motion was able to sit down with Josh Keyes for a really interesting, extensive interview. He has a new show opening at David B. Smith Gallery in Denver this weekend and the work is looking stunning (check out that 40″ x 120″ canvas in the picture!). Visit ArrestedMotion.com. I havnt even read the interview yet, but that canvas alone in the background is completely ridiculous! Amazing work! Great interview! Thanks for posting that Mitch! Will be attending this show opening night. Very stoked. the print for sowers is now live on DBS.com!